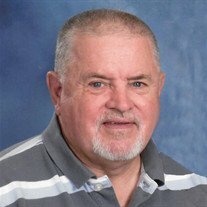 Nilan "Bud" Cox, 75, Fall Branch, died at his home early Wednesday morning, October 17, 2018, due to a heart attack. Bud was born in Fall Branch and had graduated from Sullivan High School, class of 1962. He retired from Tennessee Eastman. Bud was a member of Fall Branch First Baptist Church. He was preceded in death by his parents, Ralph and Pauline Shipley Cox. Bud is survived by his wife of 41 years, Kathy Wampler Cox; son, Jeremy Cox and wife, April; and 4 grandsons, Austin, Peyton, Little Jeremy and Carson. Graveside Services will be conducted at 1 p.m. on Saturday, November 10, 2018, at First Baptist Church of Fall Branch with Rev. Vic Wallace officiating. Family and friends may gather at the cemetery at 12:45 p.m.
Memorial contributions can be made to First Baptist Church of Fall Branch, P.O. Box 82, Fall Branch, TN 37656, or to Oak Hill Baptist Church, 2501 TN-81, Jonesborough, TN 37659.